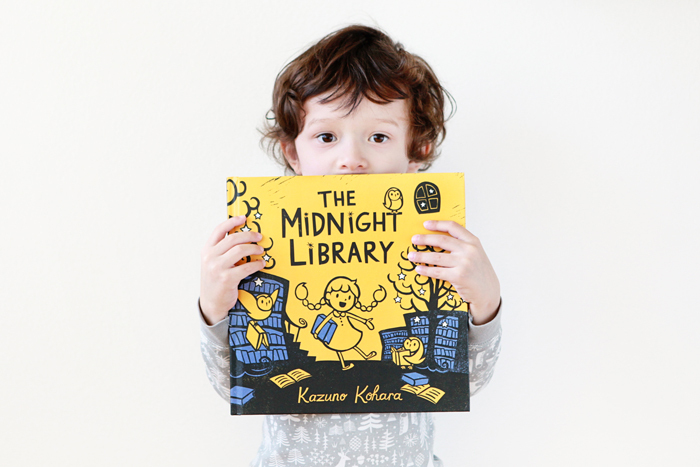 Nate has been into listening to and retelling The Midnight Library lately, Kazuno Kohara’s quirky tale about a little librarian, her three owl assistants and the menagerie of animals that visit their nocturnal library. We're working on retelling stories, which is an essential language skill for when he starts school. I try to choose simple storylines--The Midnight Library fits the bill, and it's funny, to boot.